Create a beautifully decorated and crafted portal to a miniature world with polymer clay and found objects. Express yourself in clay! 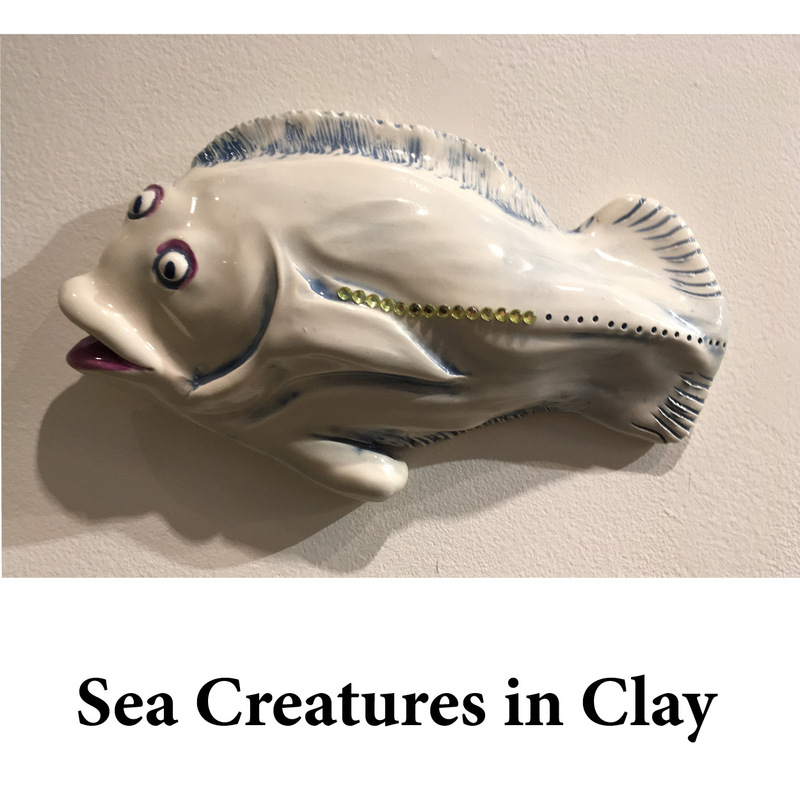 Create fantasy sea creatures using clay. Artist Randy Fein will inspire students to draw and sculpt their own imaginative underwater world as a clay relief wall sculpture. Repurpose natural items into miniature dwellings and furniture for fairies and gnomes. Turn shells into sinks, pebbles into rock walls, sea glass into windows…the possibilities are endless. Fairy doors created in previous class can be incorporated as well. Grab a hook and lets go “fishin”… Make two fish: one from a painter’s palette and the other a magnet. Paint and embellish your fishes with fun and funky stuff. Learn color theory and paint mixing. Create a giant bumblebee out of sheep’s wool using the needle felting method. And you might learn a little about pollinators, too! Learn how easy it is to make fresh handmade pasta. We’ll make plain and flavored pastas as well as multi-colored stuffed tortellini and ravioli. But wait! That’s not all! We’ll also make some great red and white sauces to go with all that pasta! Create a reduction print using printing foam and layers of ink. This is a method that is great for beginners and experienced printmakers alike! See objects from a different view…their shadows! We will use different lighting sources to draw the shadows of our subjects and turn those into unique works of art using different mediums. Using materials gathered from nature with a focus on pebbles, moss and much more, we will create unique and beautiful pictures on canvas. Learn how to get started making stuff out of wood! Using mostly hand tools, we’ll turn some rough cedar boards in to a small garden bench. Bring: A bag lunch, a water bottle, clothing appropriate for the weather. Schoodic Arts for All provides scholarships for local students to attend at the reduced tuition of $25 per day. Parents may call the office at 963‑2569 and speak with Mary to discuss scholarship arrangements. Generously funded in part by the Winter Harbor Masonic Lodge.